If you’re still pushing yourself to maximise the benefits from your training programme, you might just want to up the ante and meet your match with the Versapulley Floormount. Designed and developed to enhance sport movement and athletic performance, the VersaPulley is as challenging as you want to make it. 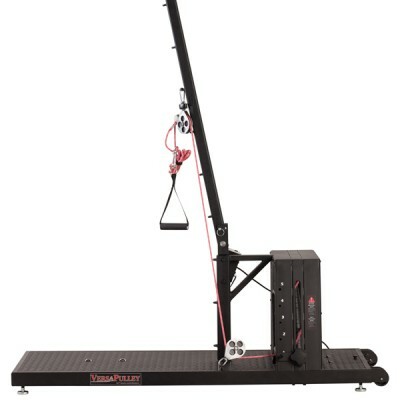 The Versapulley Floormount provides a high or low strength exercise, combining speed, power and functional mobility through any range of motion by accommodating inertial resistance at any speed, just like athletic sports. In other words the harder you pull, the stronger the resistance, and the more intense your session. The harder the rope is pulled, the heavier the ‘weight’ will feel as it is pulled back, working additional muscle groups and making your workout twice as efficient. 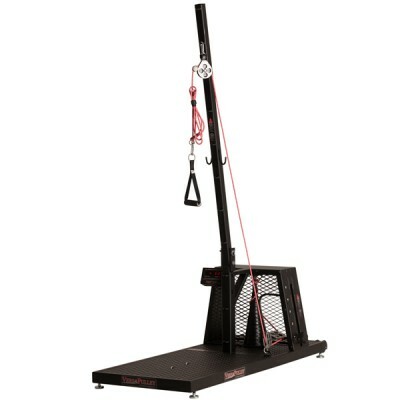 A vast array of exercises can be performed on the Versapulley Floormount, right across the force-velocity spectrum, ranging from high force and low velocity to high velocity and low force. This flexibility makes the machine a strong ally to both beginners and professional sportsmen alike, and everyone in between. Thanks to the patented MV2 technology at the heart of the VersaPulley, the machine is able to provide responsive resistance and a true stretch-shortening cycle for close chain, multi-plane, multi joint exercises as well as isolation or open-chain routines.